The traditional design of the Pro Controller makes it a favourable choice for classic video game experiences on the Switch. Nintendo did such a fine job, Valve added an option to pair the controller with its digital game service, Steam. Valve has now compiled all of its data about controller gaming on Steam together. It turns out the Switch controller is actually "pretty popular" for a new device. Valve explains how as soon as Pro Controllers became available in 2017, players began connecting them to their PC. When Steam then added in official support in May 2018, the result was an acceleration in registrations of the Pro Controller. This made it the 7th most popular controller on Steam, with just under 500,000 registered users. As for old-school Nintendo gamepads, the SNES controller had 195,914 users, the GameCube had 129,783 registrations and the Nintendo 64 was lumped under the "Everything Else" category, which was a combined total of 118,410 users. In terms of the competition, Xbox controllers reign supreme. Valve classes it as essentially the "default controller" for PC games. Nearly 40 million people have connected the Xbox 360 and Xbox One controller - representing 64 percent of all controllers connected to Steam in total. The PlayStation 4 controller is "surprisingly abundant" at 20 percent. In terms of an actual figure, there are roughly 12 million users. Valve notes, historically the PS4 controller has not been treated as a PC controller, with built-in support uncommon. This often requires players to use software which translates their input to the Xbox style and can result in confusion for players, according to Steam playtime data. As for the future of controllers on Steam, Valve plans to add even more support. On the Nintendo front, it recently made the Hori Pokkén Tournament DX Pro Controller compatible with Steam. 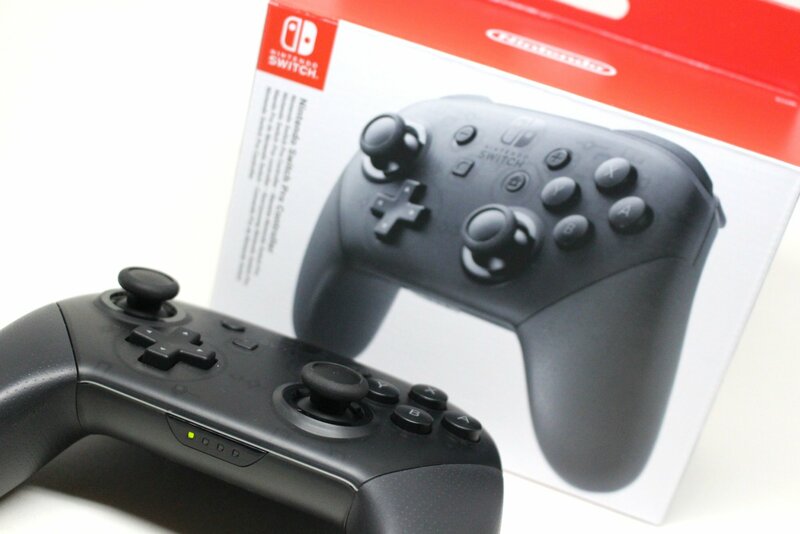 Tell us in the comments if you own a Switch Pro Controller and if you've used it with your Steam client before. That 130K Game Cube though. Well tbh,the pro controller is really great.I wasn't sure at first but the more i use it the more i love it. Wow, so the Pro Controller beat the SNES controller already... pffffft! Wh-wh-what? The SNES controller? Haha, people will adapt anything to work online if they love it enough. @Denoloco Forget that, the 195,914 SNES controllers are insane. How do you connect things like PS2 and Gamecube controllers to a PC? How many people are using the Wii Fit board? @Heavyarms55 I believe most people plug their old controllers into a special USB adapter. I use my Pro whenever I can. Joycons are ok but nothing compared to the pro controller. Everything about it feels perfect! Not surprised. Besides the Xb elite and potentially the steam controller this is my favorite controller and this has a way better price tag than Xb elite. Who the heck is using the N64 controller? People who ran out of a challenge? Does the Pro Controller work only on Steam? Is it possible to setup it under Windows / Linux / Mac like other bluetooth controllers? @ReaderRagfish Oh, yeah I guess that would be a thing. I never really looked into it because there are so many 3rd party look-a-likes of classic controllers. I didn't even know I could do that! I use an Xbox 360 controller on my PC with the adapter (which is pretty hard to find in my country). For me, that used to be the best controller (and I used them all). But I like the Pro Controller a lot since the day I bought it! If it had triggers on the back instead of buttons, I would say it's perfect. But it's pretty close as it is. I’ve never owned an XBox but I have an Xbox 360 controller for PC and emulation. Does anyone else find that I’d drains batteries even when it’s not in use? It's a great controller, this isn't surprising. I was using my Pro controller for Steam games up until my brother bought me an Xbox One Elite controller. It's insanely good, but honestly too expensive. Still, the Pro controller is the best normal console controller I've played with, even beating out my old favorite, the Xbox 360 one. I like it over my 360 due to the Dpad. Playing Celeste with the 360 one was annoying, but its been great with the switch pro controller. @Denoloco The GameCube controller has the best button layout of all time! I use a Hyperkin Procube. It's a Wii U pro controller shaped like a GameCube controller but with all the "pro" perks (minus analog triggers). Best controller for PC gaming! Personally I use an Xbox One controller with chat pad attached, which is perfect for PC gaming on the TV. You still have a keyboard for typing in passwords and login information and doing searches and all that stuff. But I also have a steam controller. I suppose I could connect a pro controller but, I really like having the chat pad. And if it ain't broke don't fix it right? Pro controller is the third best controller this gen, behind the Xbox Elite and the standard Xbox One controllers. The major setback on the Pro controller is its garbage D-Pad. I have the Splatoon 2 variant and I love it. The Pro Controller is easily the most comfortable. The XBONE would be even better if Microsoft just built better hardware. The designs good, it justs feels lumpy and kinda like it will break sometimes. Nintendo controllers feel less hollow and Sony are just well, the Dual Shock 4 sticks just wear out by looking at them. @lmello You can connect it to the PC and try to use it without going through Steam but a lot of games won't support it (because it uses some other input, dinput I think? I forget). But if you go through Steam, then you can use it even in non-Steam games that require xinput. The pro is my favorite controller of all time. I've never played with an Xbox one elite though. I bought my pro controller a month or two before my Switch in order to use it on my PC. Had tried a friend's and it was the most comfortable controller I'd ever used. I have arthritis and all other game controllers I've ever tried pain me, but amazingly I can play on the pro controller for hours. I love that Steam supports it. I only wish the pro controller could remember and easily switch between two paired devices without having to re-pair each time. Since I only have one right now I have to re-pair it any time I swap between Switch and PC. Maybe if they come out with a new variant I like in the future I'll use it as an excuse to pick another one up. Switch Pro controller has full gyro support on Steam. That means you should be able to use gyro controls for virtually any game on the service. Switch Pro controller is great. Even better that PS4 and XboxOne controllers, at least in my hands. Which you could also use on ps3 for ps2 games. Gamecube controller uses the 4 ports usb for wiiu/switch that is compatible with smash. It works really well on steam. I bought a little USB Bluetooth dongle thingy for it and can play wireless without any problems. Sometimes you have to reassign a button or two, but no major issues so far. So no surprise for me, that it is a popular controller. Just have a Xbox controller wired in my USB slot for pc best damn controller ever for pc. I used to play with my old xbox 360 controller (with wire) until a few months ago, since I discovered that Steam supported the Pro Controller. The Pro Controller is already good on the Switch, but just as good on the PC. One of the best buys I made, I even use it on my laptop. I also tried the xBox One (Elite) and Steam Controller, but they are either too expensive or they just don't feel right. I do like the Switch Pro but the D-Pad could be better. It is a fantastic controller that melts into the hands. If it had analogue triggers and a proper Nintendo quality dpad then it would be the perfect controller. One of the reasons I chose Fifa on Switch over PS4 too, it feels better to play on the Pro while docked. I got nothing but love for the Pro Switch controller it is my all time favorite controller it is just so comfortable to use the layout is perfect, I've read articles where people didn't like the D-Pad for some reason but I love all aspects of it the weight the feel the joysticks, a MASTERCLASS gaming controller. just recently upgraded from xbox360 to xbox one controller. best controller ever. if only more games would actually support the rumble feedback in the triggers. such a nice feature for racing games. @Li_N_K To be fair, Amiibo support should be far easier and cheaper to implement than headphone support. I mean sure the Xbox and PS4 controllers have much larger users base, but for almost a decade Microsoft had been increasingly pushing the Xbox controller as the "default" for PC gaming under windows whereas even with lack of support PS4 was strongly associated with a lot of the AAA games that would also hit the PC scene while having an entire generation of gaming to install itself. Whereas Nintendo's Gamepad Pro is not only entirely new but comes from a console make with next to no ties to the sort of games usually released on PC and one of the most expensive of all these controllers to boot. That it's used by as much as half a million people actually leaves me startled because I'd have expected something like 10k-20k registered controllers to with such niche expectations. Pro is definitely one of the nicer controllers right now. XBox Elite is easily the best feeling controller, the Razer Wolverine/Raiju Ultimate/Tournament for all you people not in NA) is probably the best overall controller (wired only though) in terms of feel + response, but I'd rank the Pro just behind those. I've been tempted to buy another Elite and a Brook to have one controller to use on X1, PS4 and Switch all on a toggle, but the reports of dismal battery life, some Switch pairing issues, and more importantly lack of HD Rumble keep me from doing it compared to Pro. That's okay if it doesn't support headphones. Bluetooth protocol only allows 32000Hz audio anyway, about the quality of FM radio. The only thing I wish the Switch Pro Controller had was a headphone jack. Other than that, it's easily the best controller Nintendo has ever made and I love the SNES controller. @crippknottick that's fine quality for most people. Also Bluetooth protocols are changing rapidly now, especially as phones ditch headphones jack. Most PC games have Xbox inputs as default, so I'm in no rush to get a Switch controller for my PC... Aside from them being so expensive. The fact that Xbox and Switch have XY and AB in different spots caused me some confusion for a while. Less now that my PC is packed away and Switch is my only immediate gaming device.